Time magazine picked the appropriate person for the cover of their April Fools Day ( April 1st) edition. More evidence AOC is causing righties to LOSE THEIR DAMN MINDS. keep repeating that LIE brotha!!! Rendell is not a righty LOL!!!!!!!!!!!!!!!! Rendell: "AOC Does Not Speak For The Democratic Party"
What he doesn't get is yes, she does! Her growing influence includes fleaswatter. He cant stop talking about her. 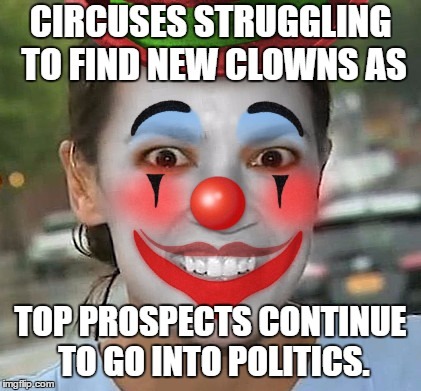 Democrat Alexandria Ocasio-Cortez still hasn’t paid a six-year-old tax bill left over from a failed business venture. Revolutionaries don't have to pay taxes. Did anybody make Lenin, Castro, Chavez, or Mao pay back taxes? When the Revolution is complete, only the rich people have to pay taxes, why would anyone else have to? I wonder what her position on Trump's tax returns is? Rich people? When the revolution is complete there are no rich people! Sure there are. Lenin and Stalin ended up rich.